The daughter of a Czech father and British mother, Vera Menchik was born in Moscow. In the aftermath of World War I and the Russian Revolution, her family moved to England in 1921. Her father taught her chess when she was nine and, in the year of her arrival in England at the age of fifteen, she won the British girls' championship. The following year, she became a pupil of Géza Maróczy, the leading Hungarian grandmaster at the time. She won the first Women's World Championship in 1927 and successfully defended her title six times in every other championship in her lifetime, and only lost one game, while winning 78 and drawing four games. These were all-play-all tournaments, mostly run alongside Chess Olympiads. London 1927 (+10 –0 =1). Hamburg 1930 (+6 –1 =1). Prague 1931 (+8 –0 =0). Folkestone 1933 (+14 –0 =0). Warsaw 1935 (+9 –0 =0). Stockholm 1937 (+14 –0 =0). Buenos Aires 1939 (+17 –0 =2). In addition, Menchik won two matches against her rival Sonja Graf for the Women’s World Champion title; (+3 –1 =0) at Rotterdam 1934, and (+9 –2 =5) at Semmering 1937. Starting in 1929, she participated in a number of Hastings international tournaments. When, the same year, she entered the tournament in Carlsbad, Viennese master Albert Becker ridiculed her entry by suggesting that any player whom Menchik defeated in tournament play should be granted membership into the Vera Menchik Club. In the tournament, Becker himself became the first member of the "club". In addition to Becker, the "Vera Menchik Club" eventually included grandmasters such as Max Euwe, Mir Sultan Khan, Samuel Reshevsky, Friedrich Sämisch, Lajos Steiner, and virtually every leading British player of the day. Menchik's greatest success at international tournaments was at Ramsgate 1929, when she finished tied for second with Akiba Rubinstein, just half a point behind former World Champion José Raúl Capablanca, and ahead of her teacher Géza Maróczy. In 1934 she finished third at Maribor, ahead of Rudolph Spielmann and Milan Vidmar. In 1942 she won a match against international master Jacques Mieses (four wins, five draws, one loss). In 1937, at the age of 31, Vera Menchik married R.H.S Stevenson (1878–1943), 28 years her senior, who was a leading chess organiser and patron. Vera Menchik's younger sister Olga was also a tournament chess player. In 1944, in World War II, with 38-year-old Vera still women's world champion, the two sisters and their mother were killed by a V-1 rocket, which destroyed their home. Bykhova E.I. 1954. 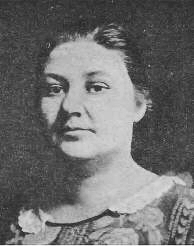 Vera Menchik. In Russian, 93 annotated games plus biography. Kalendovsky J. 1986. Klub Very Menčíková. In Czech, 94 annotated games plus biography. ↑ Chess Notes Edward Winter, Chess Note 3433 (excerpt from Sunnucks, Encyclopaedia of Chess 1976). ↑ Menchik-Becker, Karslbad 1929. ChessGames.com. Retrieved on 2009-02-19. ↑ 5.0 5.1 Sunnucks, Anne 1970 The Encyclopaedia of Chess. St. Martin's, London p306. ↑ Kazić B.M. 1974. International Championship Chess: a complete record of FIDE events, Pitman, London. p260. ISBN 0-273-07078-9. ↑ Chernev, I. 1974. Wonders and curiosities of chess, Dover. ISBN 0-486-23007-4. ↑ Wins by Vera Menchik. ChessGames.com. Retrieved on 2009-02-19. ↑ Whitelys was London's first department store.